Surveys allow you to measure how learners feel, what they need, and how to address their issues in real time. The Surveys page shows you all of the surveys in your account. 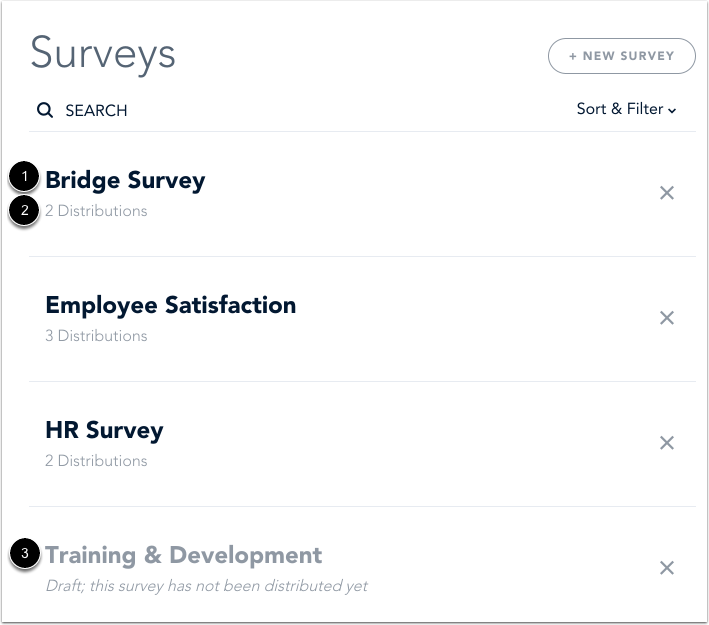 You can sort and filter your surveys and view details for each survey. Times and dates within Bridge reflect the time zone of your browser. By default, the Surveys page shows all surveys, which are sorted alphabetically by name. 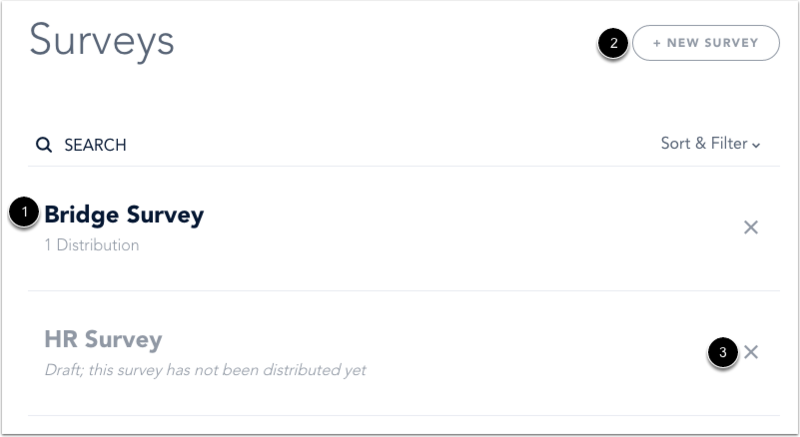 You can view the name of each survey , and if the survey has been distributed, you can view the number of distributions . Surveys that have not been distributed include a draft status . Note: Distributing a survey automatically publishes the survey. 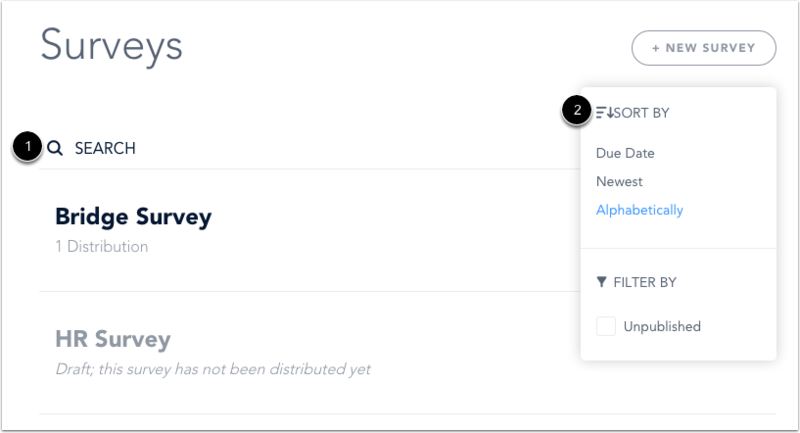 In the Search field , you can search for all surveys in the account. To view details for a survey, click the name of the survey . To add a new survey, click the Add New Survey button . To delete a survey, locate the survey and click the Remove icon . Previous Topic:How do I delete a live training? Next Topic:How do I add a survey? Table of Contents > Manage Surveys > How do I use the Surveys page? How do I use Bridge as an IT admin? How do I use Bridge as an admin? How do I use the Bridge Navigation Menu? How do I delete a live training?